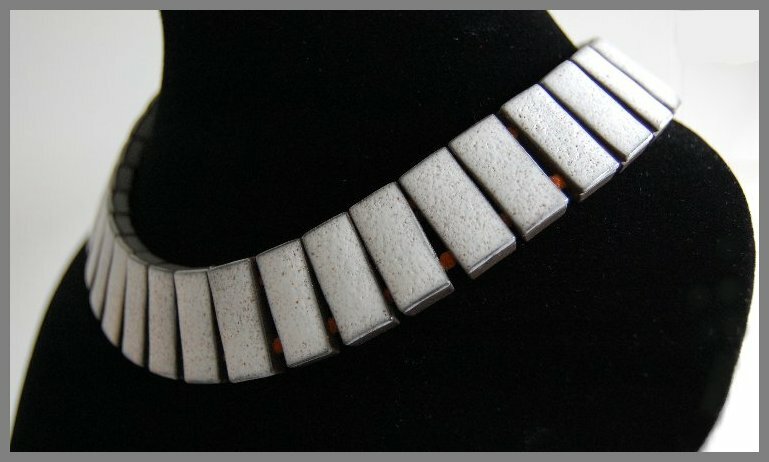 In 1957 and 1958 the Verwoerd Studio produced a small number of ceramic necklaces and bracelets that were especially designed to fit the female neckline and wrist, and that featured some exquisite glazing. The project was quite successful in an artistic sense. 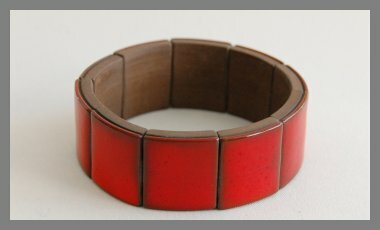 However, the production proved to be highly time consuming, and was discontinued after 1958. As Delft jewelry was mainly a product for the tourist industry, the demand for Delft medallions suffered severely when the economy slowed down in 1957, and fell into a recession in the year thereafter. Verwoerd saw this as an opportunity to diversify into a different product, and follow his creative and artistic instincts. 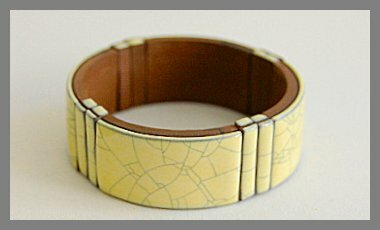 He designed a special mouthpiece for his vacuum extrusion press, as well as several other new tools for the production of ceramic jewelry elements that were bent in such a way that they would gently follow the neckline or wrist. The separate elements had pre-installed holes for stringing, and rimmed edges for smart glazing. Verwoerd probably enjoyed experimenting with new glazes and with many different colors, of which strawberry red and ivory seem to have been among his favorites. Both were in fact difficult to produce in large quantities. The necklaces and bracelets became an instant success. Large scale marketing, however, was out of the question. Verwoerd knew the limitations of the production process. As is illustrated by the production figures below, his ceramic art jewelry was, and remained a niche product that was due to be terminated when the economy recovered, and the demand for his Delft medallions resumed.